It's no secret that the Gibson Brands tent is one of our most favorite stops while attending CES. 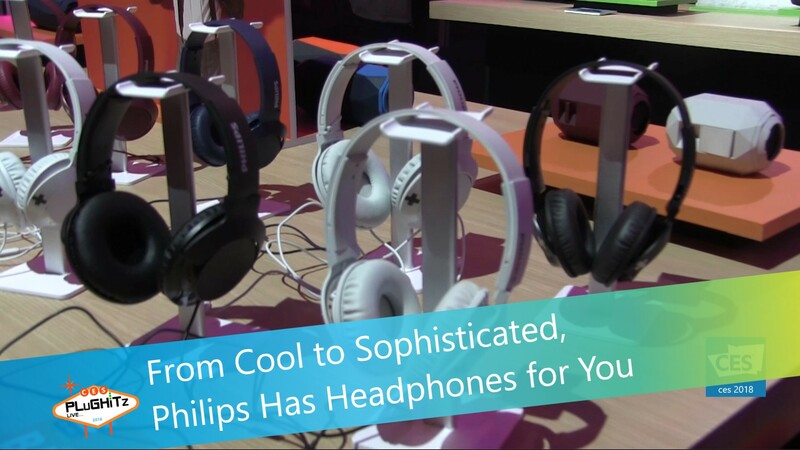 Being able to get a first-hand look at the new line of Philips Headphones is definitely one of the reasons. This year we got to spend a few minutes with their product manager for headphones to learn what's new. First up is the UpBeat Range, and they are exactly that. This range has been specifically targeted to an audience that is young and fun. They are cool and exciting with a unique, two-toned gradient coloring that comes in red, blue, grey and purple. You can choose between standard earbuds and in ear models that block out external noise. Both come in either corded or Bluetooth versions. You can also get Bluetooth neck bands that rest right on your neck and make it really convenient between usage. It was important to Philips for them to make this line fun and affordable, but also have the great sound that they are known for. This line has the best sound in this class on the market today. Prices will range from $20 to $60. Next up is the Bass+ Range. For this line, they wanted to offer a more stylish and sophisticated headphone that still has great bass. They come in earbuds, all the way through to full-cup headphones. The dark, deep colors are classic and suitable for both men and women. The Bluetooth version comes in white and black with a three button remote. They are comfortable and were designed with a fin that ensures they securely stay in your ears. Also in this line are over ear headbands that sit around the ear. They are compact and have a fold system for easy storage and transport. Both corded and Bluetooth versions are available. And of course, there is also an on ear selection that comes in in blue and maroon. And, of course, we were also really excited to see the True Wireless Earbuds in the Bass+ Range. These have a tiny design and play time is an impressive 6 hours. This is more than just about every other brand out there. They come with a nice pouch that is also rechargeable and gives an extra 6 hours, so you'll have true all day playtime. Prices on the Bass+ Range begin at $20 for the corded earbuds and go up to $130 for the True Wireless. Check out all that Philips has to offer by visiting their website.